I'm certain I have said this before but when it comes to music I am pretty much clueless. As such I never go out my way to review it as I don't feel I know enough to have a valid opinion, after all we all like what we all like. 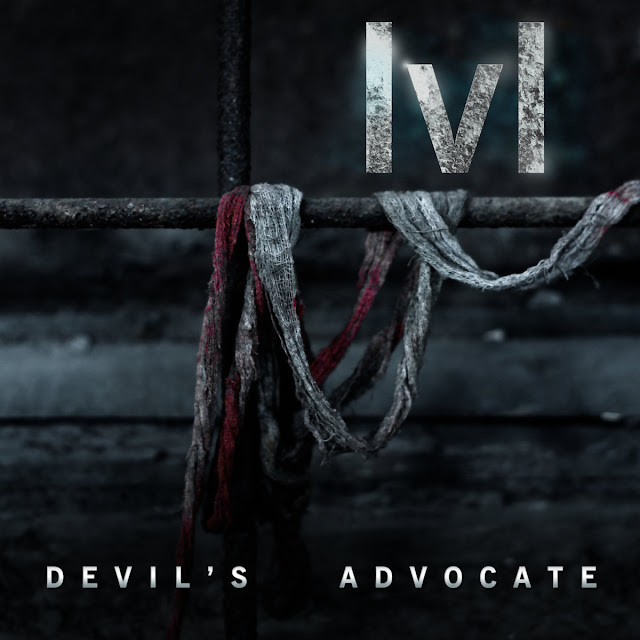 Listening to lvl's Devil's Advocate I was attracted to the songs as it nostalgically reminded me of music I liked long ago, I had been planning to say that in the review. However it turns out the reason it sounded like late 90's rock music is that it is late 90's rock music as this is a remaster from 1999's debut lvl album. This has also got additional material in the form of 7 rare/unreleased songs. Usually when I'm sent music I like it fine enough but it never feels like something I would play too much, though in here this is such a hit of pure teenage nostalgia for me reminding me of everything from Korn to Marilyn Manson, Nine Inch Nails to Mortiis. I'm not sure which songs were added where so I can only speak to the album as it's laid out now. It all starts great with She: Backslide, a heavy crunchy loud intro that was an early highlight, an equally awesome remix also closes out the album. Following this is the very chuggy and occasional eurotechnic sounding Best Way Out before first instrumental File# 81259 comes in with its 50 seconds of dark soundbites. Caught Sick comes 4th and is a brilliant track of electronic rock that sounded a bit like slowed down early Muse, that one ends on a great repetitive riff. Just Like You follows and for the most part I felt it was a bit too samey, maintaining the same pace for most the song, the midpoint though descends into a crazy cacophony of drums that was dazzling to hear before then changing back into slow gear. Title track Devil's Advocate is the 6th track and it is easy to see why the album was named after it. Dan Levler almost shouts the lyrics while a brutal short riff rips through the song again and again. Second instrumental File# 93931 is the 12th track and sounds like an Amiga title screen song for something like Alien Breed, finally with this track we are off the similar flat series of tunes and on to more greatness with She: This Time. This song is another slice of pure 90's rock with semblance to Deftones in it's chorus. Next comes five instrumentals; October that is pure background music, Decanter that would be right at home in a Silent Hill game, Dead that is a slightly heavier track and then the sublime Remorse, Consent, and Invert that I could really listen to on repeat all day and again has a 'light world' Silent Hill vibe to it. Final instrumental is the mournful Grain 25 that just sounds epic in it's scope despite being under 2 minutes. Of course it all finishes as mentioned with a cool remix of the first track Backslide. Is that the way to review a music album? Who knows, but it is how I have chosen to do this. At times Devil's Advocate feels disjointed and it does flag a bit in the middle but overall this is hands down the best album I have heard in months, a beautiful remaster that shows this music from nearly twenty years ago is just as awesome to hear as it would have been back then. lvl's Devil Advocate (Remastered) came out on September 8th, lvl's sophomore album Denial (that has also been remastered) is out on September 29th.